The CR-V is an all-rounded SUV that ticks all the requirements when a family goes car shopping. It is definitely not the fastest, but that is not the priority for families these days. 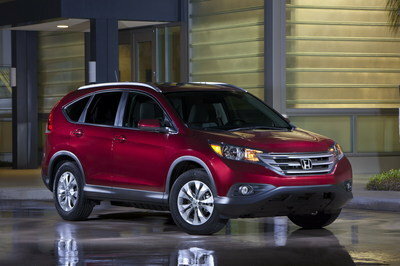 The CR-V is powered by a 2.4-liter, four-pot that produces 185 horses and 181 pound-feet of torque. 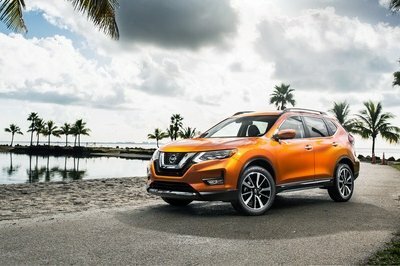 The 2016 model comes standard with a CVT transmission that helps the Japanese SUV achieve 29 miles to the gallon combined. Handling isn’t exactly top-notch, but the well-tuned suspension makes up for it. The cabin is very spacious, and the seats are well cushioned and bolstered. There are a lot of storage pockets for the little knick-knacks, and the CR-V comes with clever folding seats that make it a practical option for families that enjoy those weekend getaways. With all seats in place, the CR-V offers 37.2 cubic feet of cargo space, which increases to an impressive 70.9 cubic feet when you fold the rear seats. Coming to interior quality, the 2016 CR-V is a notch up from the previous generations, but not one of the fanciest ones out there. The CR-V comes with a 7-inch touchscreen infotainment system with navigation that supports Android Auto and Apple CarPlay. 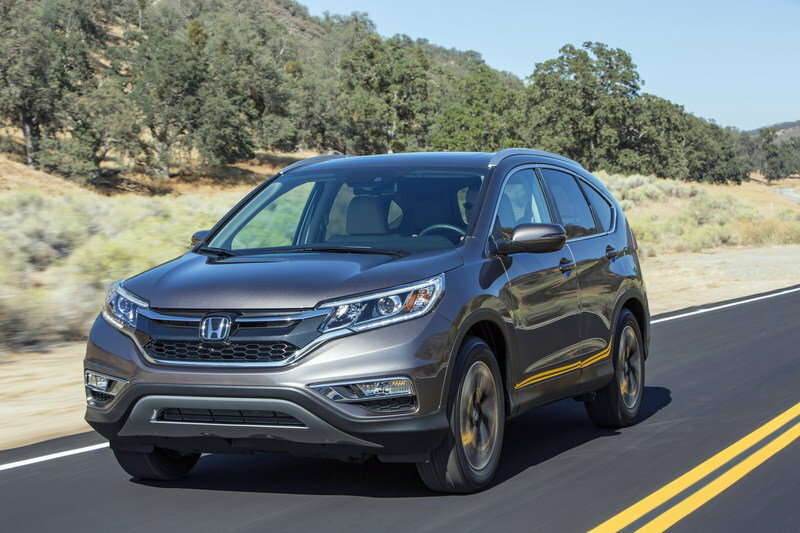 On the safety front, the CR-V is well-equipped and has scored five stars in NHTSA crash testing. 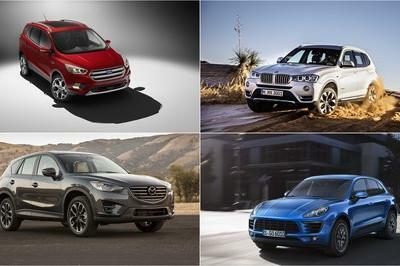 The Mazda CX-5 is what the CR-V isn’t. 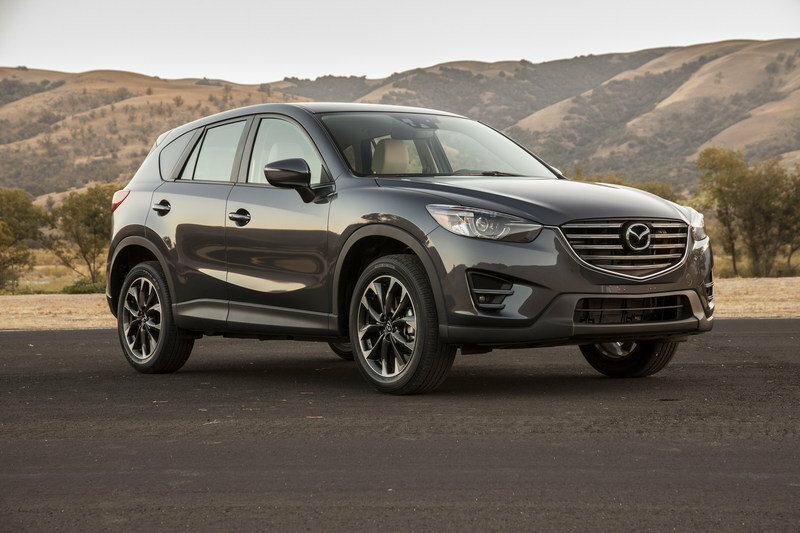 The CX-5 is handsome, it handles well, and is also one of the safest SUVs in the segment. It is available with the two engine options; a 2.0-liter, four-cylinder that produces 155 horses or a 2.5-liter, four-banger that develops 184 ponies. The former is available only with the stick-shift, while the latter is only offered with an automatic transmission. It achieves 29 miles per gallon with the manual transmission, and earns an extra one mpg with the automatic. The CX-5 handles well, steering has good feedback, but the engine lacks the grunt. It’s not a sprinter by any means. 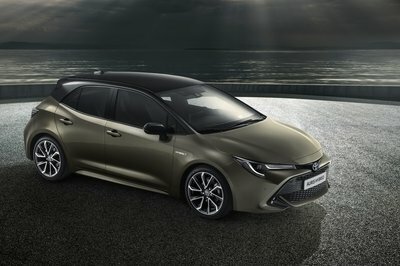 The interior boasts a good-looking dashboard and center-console, while higher trims have a seven-inch touchscreen infotainment system. The cabin is wide and spacious, offering excellent headroom and legroom for occupants. However, inviting a fifth person will make it a tight squeeze. The cargo space is on par as per segment standards with a maximum of 65.4 cubic feet. 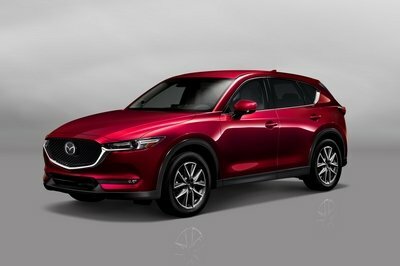 - * Not as equipped inside as the competition - * Sluggish automatic transmission - * Acceleration not the CX-5’s strong suit. In a nutshell, the Escape is an SUV that compromises on comfort and utility for performance. The Escape packs a 2.0-liter EcoBoost engine that produces 240 horses for the performance-lovers. There are two other lower-spec engines that do their job efficiently. 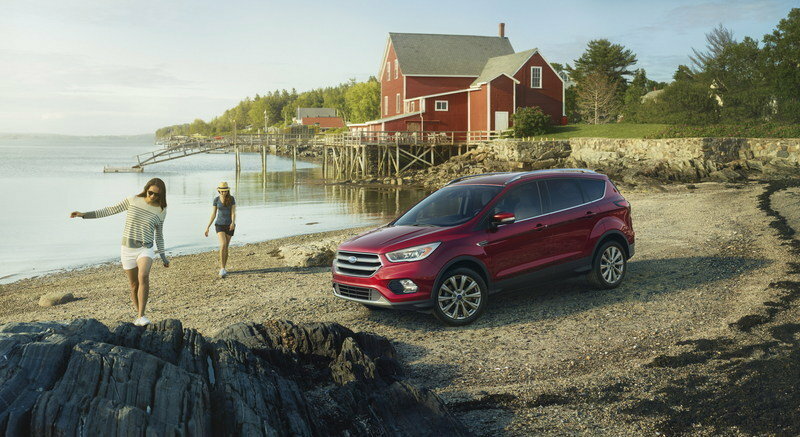 Despite being a tall SUV, the Escape has minimum body roll, handles well, and has responsive steering. On the inside, the Escape is loaded to the brim. The Escape has oodles of space within, comparable to the CR-V; but legroom is on the shorter side. The seats are firm and slim, which is good for the city commutes, but not so much for long journeys. Its maximum cargo capacity of 68.1 cubic feet is on par with the competition. On the safety front, this SUV escapes full marks. NHTSA gave it four stars. Maximum Cargo Capacity 68.1 cu.ft. 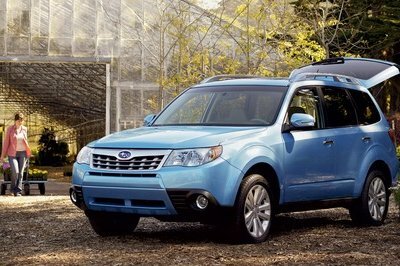 The Forester is the most VFM purchase you can make from this list, as it suffers from low resale value. The base 2.5-liter, four-banger produces 170 horses, while the 2.0-liter, four-pack turbocharged unit creates 250 horses. 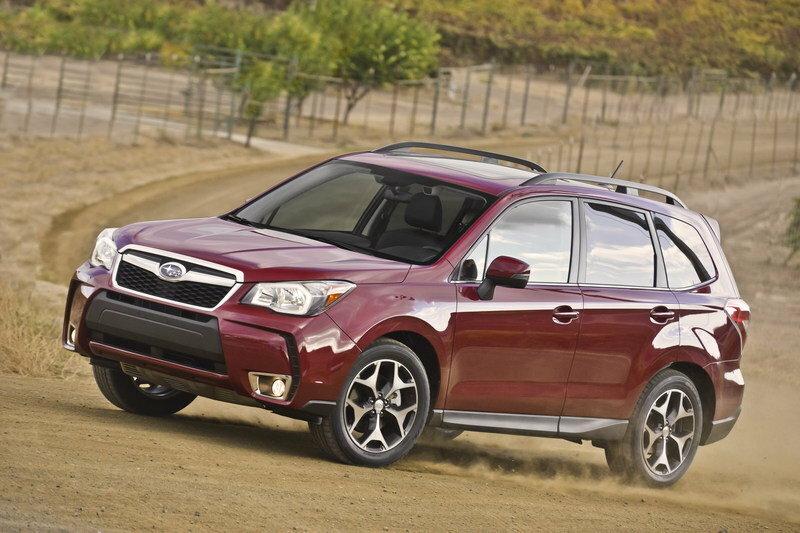 The Forester is durable, it rides well, and the CVT attached to the 2.0-liter is surprisingly smooth. 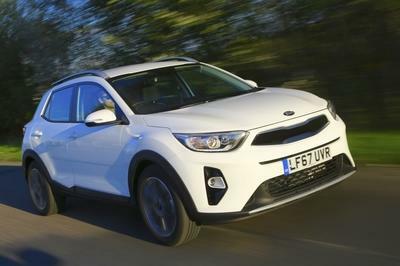 The handling is on the sportier side, and it is also off-road friendly. The suspension is well-tuned, and even the steering weighs up nicely on higher speeds, making the Forester a delight to use on all terrain. On the inside, the Forester is the roomiest SUV off the lot. 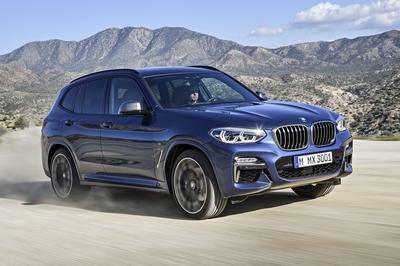 Tech-savvy people may not be the happiest folks, but the SUV has all the basic essentials, including a seven-inch touchscreen infotainment system in the top-spec. The seats are wide enough to fit five people comfortably. However, the front seats lack bolstering and cushioning, which makes the driver feel tired during long journeys. Even with that in mind, the driving position is commanding. Cargo space is the icing on the cake for the Forester; with a maximum of 74.7 cubic feet available for the taking. In terms of safety, the Forester has scored an overall full five stars from NHTSA rating, with a near-perfect score in almost all the tests undertaken. Maximum Cargo Capacity 68.5 / 74.7 cu.ft. - * Comfortable ride for the passengers, enjoyable for the driver - * CVT is not lacklustre like in other SUVs - * One of the safest SUVs available in the market even today. The Acura RDX is a stylish SUV that you just cannot ignore on the road. It is powered by a 3.5-liter, V-6 engine that produces 279 horses and 252 pound-feet of torque. The engine is refined and smooth, and has a good low-end torque to pull this heavy SUV effortlessly. Handling and ride quality is more than satisfactory. The dashboard is well laid-out and looks classy, but the over usage of chrome can cause glare at some angles. The RDX is loaded with features like heated front seats, multiview rear camera, etc. The Acura RDX does not fall short on headroom and shoulder room. And the seats have enough bolstering to provide a comfortable ride even on long journeys, but the rear legroom is a little insufficient. 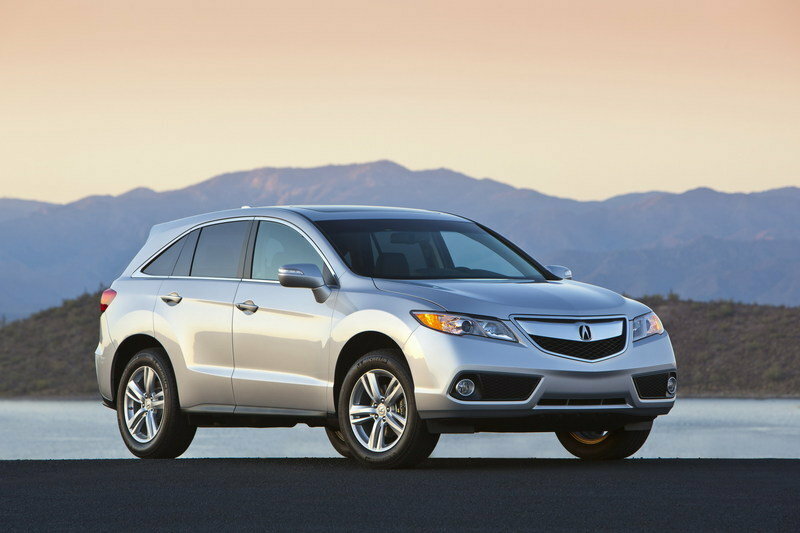 The RDX achieves 22 miles per gallon combined, which is not as fuel-efficient as the rivals. Flip down the rear seats, and you will get 61.3 cubic feet of cargoroom, which again, is disappointing as per the segment standards. In terms of safety, the Acura MDX is neither bad nor good. It has the basic safety features but hasn’t scored the perfect rating. Drivetrain Warranty 6 yr./ 70000 mi. The X3 is arguably the smartest-looking SUV of this lot. It a perfect blend of styling, practicality, and performance. 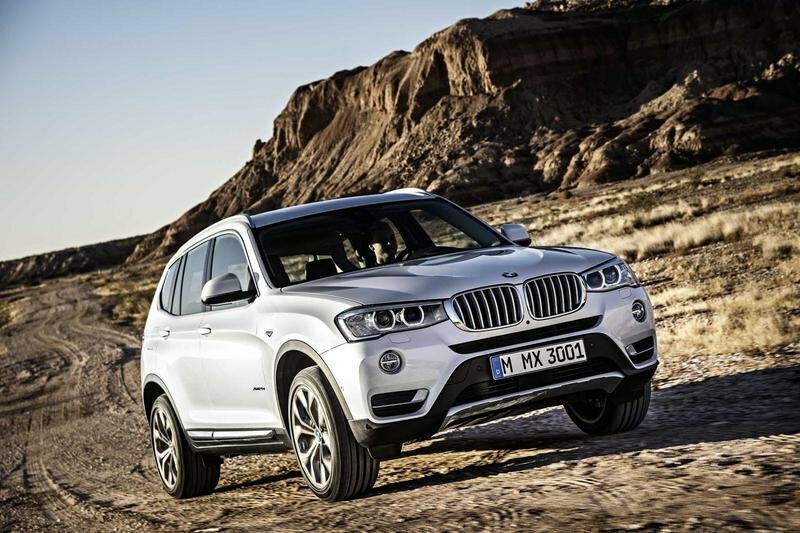 The X3 is available with an array of engine choices; all turbocharged. You can choose from the base trim that makes 180 horses, to the top-spec trim that churns out 300 ponies. The interior needs no introduction; it is overflowing with features on any spec. The seats are supremely comfortable and can be availed in multiple themes. However, a third at the rear may make things a little uncomfortable. Also, there are a lot of packages to choose from to customize the interior as per your needs. Despite the heavy engines, the X3 manages to achieve a combined fuel economy of 24 miles per gallon, which is quite decent for the kind of performance and refinement you get. If there’s one thing the X3 lacks in, it is cargo space. With all the seats in place, the X3 offers a mere 19 cubic feet, which extends to 56.6 cubic feet with the seats folded. Safety is top-notch, and it has earned a rating of five stars. Maximum Cargo Capacity 56.6 cu.ft. Drivetrain Warranty 4 yr./ 50000 mi. 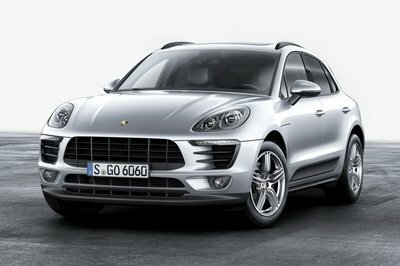 Pack the Cayenne’s feature in a smaller avatar, and you’ll get a Macan. The Macan S comes with a 3.0-liter, V-6 engine that churns out 340 horses while the Macan Turbo comes with a 3.6-liter, V-6 engine that develops 400 horses. The ride and handling are excellent, while the steering is responsive and no dead spots. On the inside, it’s a typical Porsche with a plethora of buttons and features. Perhaps, calling it a cockpit would be more appropriate. The space is on the lower side, as it can accommodate only four people comfortably - a fifth person just isn’t welcome. Headroom, legroom, shoulder room – everything is in deficit, especially at the rear. The Macan has just one purpose: to make you grin ear-to-ear when you floor that A-pedal. Things like utility and storage space are thrown out of the window without giving it a second thought. 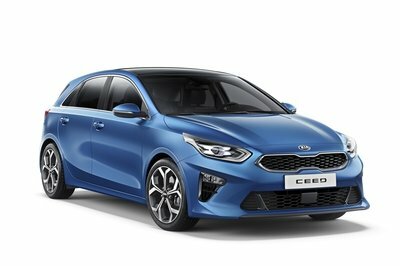 The seats have thick cushioning, and their sides have healthy bolstering, which is boon when you have a risk of getting thrown around during fast cornering. Fuel Economy? What’s that? It delivers 19 mpg combined. 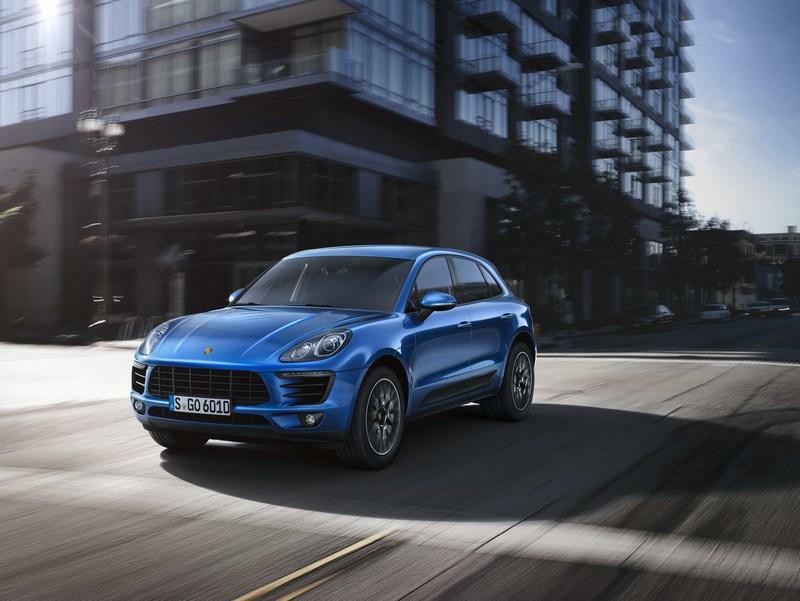 The Macan has a maximum cargo space of 53 cubic feet. Maximum Cargo Capacity 53.0 cu.ft.